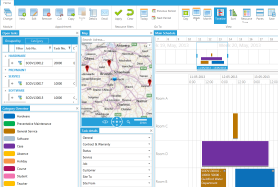 Dime.Scheduler is the graphical resource planning tool of choice for Microsoft Dynamics users and partners that are looking for a flexible and easy-to-integrate planning solution. Dime is proud to introduce the new release of Dime.Scheduler, version 2013-Q1. We invite you to find out more about the new Dime.Scheduler features in our next Live Webcast on May 16th, just register here. Don’t forget; if you want to find out more about our new Dime.Scheduler features, please register here for our next Live Webcast on May 16th.